Nobody really knows what it is. But there is all kind of speculation that Apple is building some great new fancy device that you've gone your entire life without but once you know about it, won't be able to live without. Like the iPod did. Unless you don't have an iPod. And like the iPhone. Unless you don't have an iPhone. And like the iPad. Unless you don't have an iPad. Or a Roku. Oh, wait. Apple didn't invent the Roku. They got Apple TV though, which is pretty cool, but it's no Roku. Though it is close. 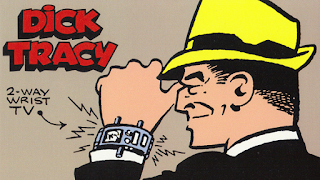 Anyway, Bloomberg (the news organization, no the idiot mayor) reports that Apple is building something they're calling the "iWatch" -- as in wristwatch. And, it'll be an Apple invention. Something nobody would every have thought of before. Ever. And, you'll want one. You'll never know how you got by without it. Then, it'll be racist to have one, because the fat unemployed lady with food stamps and an Obamaphone doesn't have one -- even if she's white and looks like a Honey Boo Boo family member, it'll still be racist because ... SHUT UP!!1!!!. So, there'll be a new tax, and your Verizon bill (or whoever runs the service behind the iWatch) will go up so they can fund handing them out to useless people.